NCAR/EOL's S-PolKa radar is an advanced, transportable, ground-based dual-polarimetric, dual-wavelength, Doppler weather radar that transmits at 10 cm wavelength (S-band). The dual-polarimetric capabilities of S-PolKa allow for improved precipitation estimates over what is available on conventional radars, as well as real-time identification of hydrometeor types. The absolute phase measurements from S-PolKa can be used to compute and monitor in real time the low-level humidity by measuring changes in refractive index between fixed ground targets. NSSL scientists helped develop the Weather Surveillance Radar - 1988 Doppler (WSR-88D) radars, also known as NEXt-generation RADar (NEXRAD). 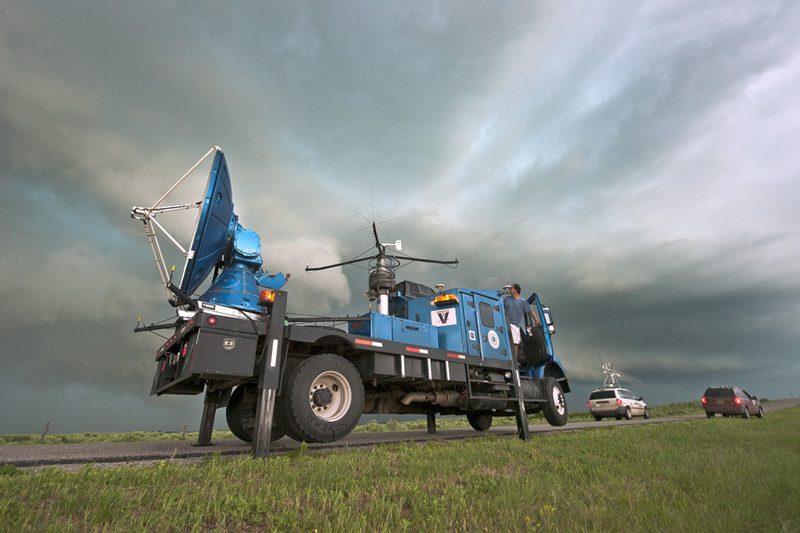 Since the first Doppler weather radar became operational in Norman in 1974, NSSL has worked to extend its functionality and effectiveness and proved to the NOAA National Weather Service (NWS) that Doppler weather radar was a crucial forecasting tool. The NWS now has a network of 158 NEXRADs. 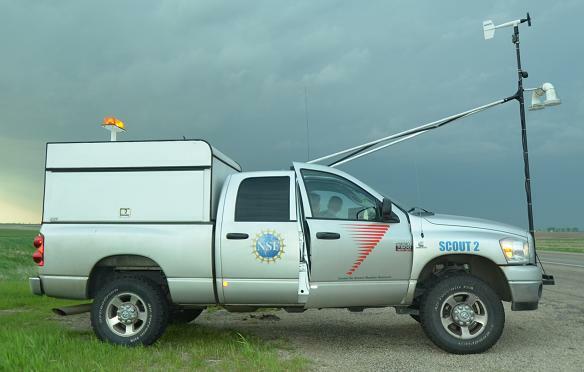 The Center for Severe Weather Research (CSWR) Doppler on Wheels (DOW) 6 & 7 are dual polarization radars, yielding double speed dual-pol data via 45-degree and H/V simultaneous modes. Each measures 8.5' wide by 30' long by 14' high, with mast fully extended, the height is 17 m.
The Rapid Scan DOW (also known as DOW 8) was first successfully deployed on a tornadic storm on May of 2003, where it took multilevel measurements of velocity and reflectivity at heights ranging from two to 15 km. 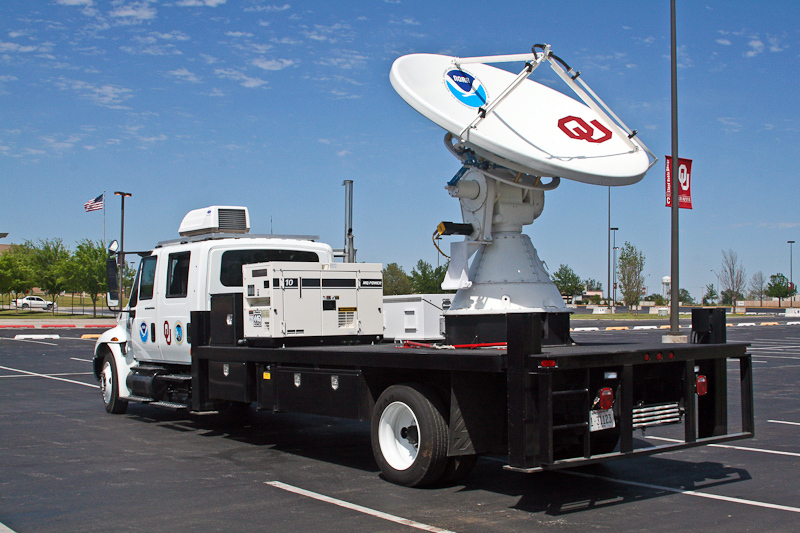 CSWR operates a fleet of instrumented mobile mesonet vehicles. These are equipped with standard instruments, measuring wind, temperature, and relative humidity, mounted far forward at 4 m (13.5 feet) AGL to avoid vehicle slip stream. Operated by OU’s Advanced Radar Research Center (ARRC), RaXpol boasts extremely rapid pedestal speeds, which enable a volume scan to be completed in as little as 20 seconds. The truck-based platform can quickly maneuver to a target area, deploy, operate, and depart with minimal preparation. While these advantages make RaXpol well-adapted to observation of severe weather phenomena, the arbitrary transmit waveform and raw I/Q data recording capabilities also allow for experiments with pulse compression and innovative radar signal processing. Designed, fabricated, and operated by ARRC, the PX-1000's dual-channel independent transmit chain opens up possibilities of novel waveform diversity for improving polarimetric radar quality. In addition to advanced signal processing developments such as spectral analysis and adaptive clutter filtering, real-time acquisition of time-series data also facilitates pulse compression development, for example. The PX-1000 is well suited for long-term field campaigns. 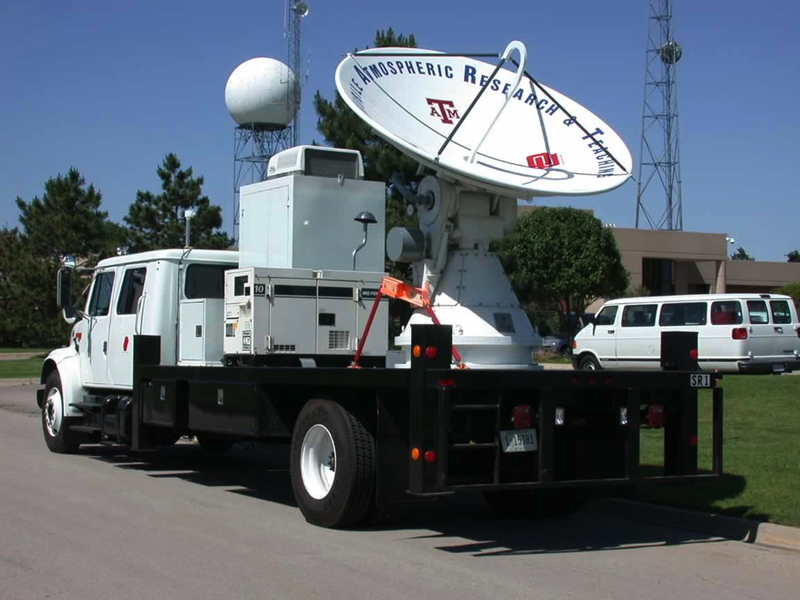 NOXP is a mobile Doppler radar that operates on a 3cm wavelength (X-Band). This wavelength is more sensitive to smaller particles than the longer wavelengths used by NOAA NWS (NEXRAD) radars, and is capable of detecting tiny water droplets or snowflakes. The main goal behind MAX is to investigate tornado and severe/hazardous weather phenomena and will participate with this capability in PECAN. MAX is apart of a much larger project named the UAH Tornado and Hurricane Observations and Research (THOR) activity. THOR involves close collaboration between UAH and the NASA Short-term Prediction Research and Transition (SPoRT) Center, and three entities of the National Weather Center in Norman, OK: (a) the NOAA National Severe Storms Laboratory (NSSL), (b) the NOAA/NWS Storm Prediction Center (SPC), and (c) the University of Oklahoma.